A company based in Taiwan has launched the iteration of Titan and named it Titan II. 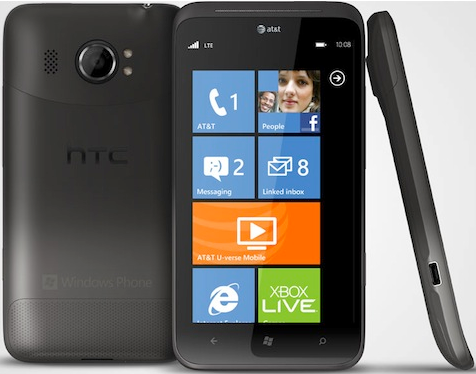 It was launched on AT&T together with Nokia Lumia 900. It is a Windows phone and runs on Windows Mango software. It is soon catching up with the Nokia flagship with all the updates from HTC. Dimensions: 132 x 69 x 10 mm. The phone is a chunky piece and foretells the return of the era of large phones. It is a new one in the solid phones category. The tapered edges offer a very comfortable grip of the phone and also make it convenient to comfortably carry it in the pocket. With a soft finish and tapered edges with smart curves make the phone as sophisticated as the HTC One X. Talking about the display, HTC has chosen to stick to the basics. It almost looks like the original HTC Titan. It even uses the Super LCD touchscreen that has been used in the original Titan. The phone flaunts a 4.7 inch display and a resolution of 800 x 480 pixels Wide Video Graphics Array. It provides no secondary display. The HD Super LCD screen resolution of the Titan II is 1,280 x 720 pixels which is much higher than the one in the Titan iteration. The same Qualcomm MSM8255 Snapdragon processor of 1.5GHz used in the predecessor (Original Titan) is again used in the Titan II. The performance of this rock solid Windows phone is quick. No lags have been experienced till now. It has 16GB internal flash memory. However, one of the few shortcomings of the phone is that it does not have an external memory slot. The Titan II runs on Mango OS, the latest Operating System from Windows. It is less efficient than the HTC One X which uses the newer Ice Cream Sandwich OS. It has been updated with Twitter integration and the Bing search is improved. With Metro UI, the interface is vibrant. It supports 4G LTE just like One X. Speed: 6-13Mbps (HSDPA), 1-2Mbps (HSUPA). Connectivity: Bluetooth- Version 3.0 Bluetooth with A2DP and the 2.0 version of micro USB. Wi-Fi802.11, Wi-Fi Direct and Wi-Fi Hotspot. Irda- No. USB- Yes GPS- Yes. Battery: Li-Ion. 1,730mAh, with 14 days standby time and talk time of 4 hours. Audio music can be played for 20 continuous hours. The main attraction of the Titan II is actually the 16 megapixel camera compared to the 8 megapixels of the One X. It takes grand photos with the help of the backside illuminated sensor and dual LED flash provided. It also has a 1.3 megapixel front camera which finds use in video chatting. It is but obvious that the phone offers features like zoom, smile capture and face detection. It even offers manual ISO, burst mode and various special screen modes. With the Sense4.0 one can take as many as 99 snaps at a go. The price of the phone is yet to be declared but is expected to be around Rs.30000 and it is worth it. 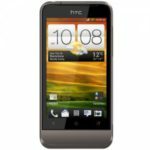 The HTC Titan II is a purchase you will not be disappointed by, considering all the amazing features it has to offer. All-in-all, it is definitely a worthwhile buy. Russel Browne wants to provide some useful tips which would be quite beneficial to smooth the way of Test4prep exam clearance. Would you like to go through GIAC Certifications guide self assessment tutorials.